Founded in London in 1737 by William Offley, initially as wine merchants. He played a key role in expanding Offley and the Porto Wine industry in the Nineteenth Century. Offley 10 Years Old Tawny has an intense tawny colour with brick-like tones. Its elegant and complex bouquet is characterised by flavours of ripe fruit, marmalade and dry fruit, with notes of vanilla, raisins and jelly. In the mouth, the balance between the richness of the grapes natural sugars and its tannins provide the wine with a fine structure and a delicate yet complex finish. 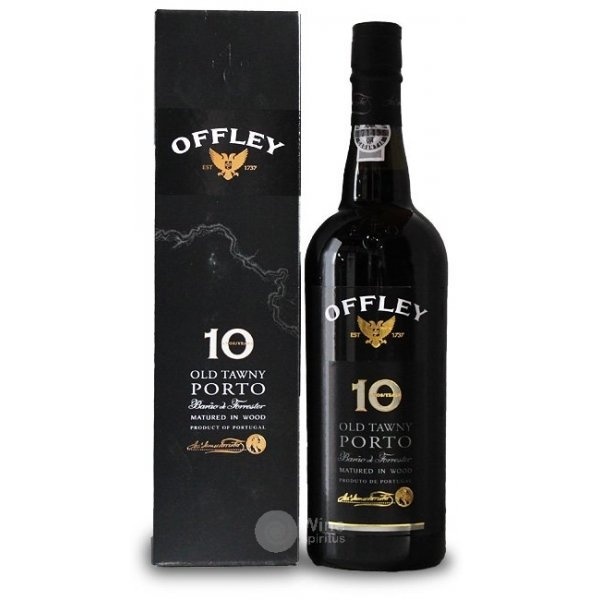 Offley 10 Years Old Tawny is a blended wine, made from a selection of quality grapes from the traditional red varieties recommended for Porto wine making, namely Touriga Franca, Tinta Roriz, Tinta Amarela, Tinta Barroca and Tinto Cão. Offley 10 Years Old Tawny is delicious on its own and goes very well with several salty starters (quiche, foie-gras, creamy sea- food and vegetables), rich desserts (from the classic creme brulée to a simple fresh peach) and a great variety of cheeses.